If you are a home fitness aficionado who likes to test his metal with bodyweight exercises, the available options are rather thin. One browsing session on YouTube, and you’ll realize how most of the workouts are geared towards the beginner, the lazy cat, and the gym-obsessed buff dude. To remedy this, I’m posting an advanced full body workout, courtesy of yours truly. If you want to lose weight, gain some muscle, or improve your overall athletic performance, going to the gym seems mandatory. But what about people like myself who hate commuting back and forth, paying a monthly subscription, organizing gym clothes, and working out in crowded spaces? If you share a similar view, you are likely searching for alternatives as well. But what are your options? Weight training would require a home gym, which for many of us is either expensive or inconvenient. So the only viable alternative is to use your own body, and gravity as your only friend. Enter bodyweight exercises! By now, you’ve probably explored different channels on YouTube, but most of them turned out to be for beginners. So where is the intense full body workout, designed for true fitness enthusiasts? Well, one option would be to buy a Beachbody on Demand subscription, and try the Insanity workout by Shaun T. If, however, you’ve completed the entire program before, I’ll encourage you to go for the Asylum series (especially Volume 1). But are there more affordable options? Can you simply press play, without taking out your credit card, and start burning calories? Well, keep scrolling. Without equipment, you’ll have to change everything about your workouts. On one hand, it is impossible to perfectly isolate specific muscles, which, as you’ll learn quickly, is an impediment to explosive growth. On the other hand, however, you’ll enjoy both the thrill, and the benefits, of compound exercises. And there are many benefits when training under gravity only. If you are serious about weight loss, burning belly fat, and improving your general fitness, there is hardly a better option than a hard bodyweight workout. The advanced full body workout I’m going to share below incorporates a variety of compound exercises. These will target several muscle groups at once, and force you to burn calories, improve speed, coordination and agility. It’s an intense full body workout, with a proper warm-up and a short rejuvenating stretch. This is, primarily, a full body workout at home for men, but I’ve seen girls as tough as nails who often put many of my male friends to shame. It is an intense bodyweight workout that will have you sweating buckets even during the warm-up. 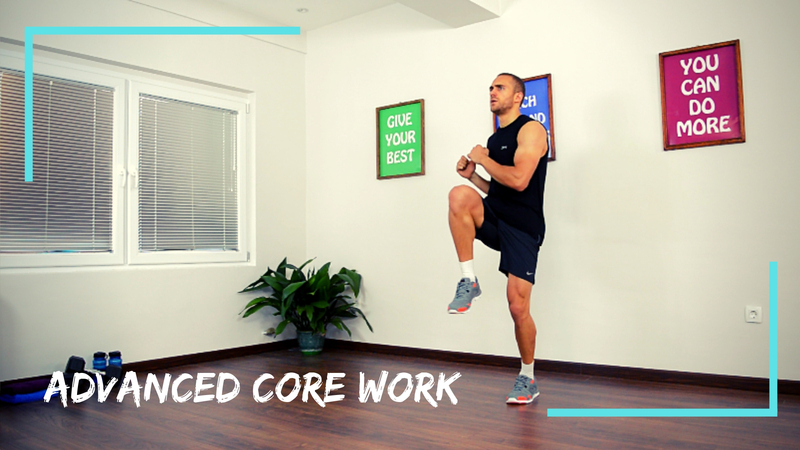 It is very difficult to structure a full body workout at home without equipment. It’ll has to be a compound bodyweight exercise routine that targets the legs, chest, core, back, arms and shoulders, so you are looking at twenty something moves. Push-ups, plyometric exercises, planks, squats, crunch varieties… the whole shebang. The length of the workout cannot exceed 50 minutes. Gym routines are more forgiving in this regard, but when you are keeping your heart rate firing up with bodyweight exercises, the length of a single session must be trimmed down. Otherwise, it is counterproductive. You have to target all of the large muscle groups. An intense total body workout cannot deal with legs, chest or abs only. You’ll have to pack many exercises, which slightly contradicts the first rule. Muscles must be activated from different angles. The more you are able to vary the exercises, the more burn you’ll produce. A circuit-type training where you perform a series of moves, and then return for another round, advancing them in different directions seems smart. Agility, flexibility, strength, balance, speed, cardio endurance… An advanced total body workout must be geared towards improving all of these metrics. This begs for a stretching session, along with completely different types of exercises. But enough chatter – let’s see what we have in store. 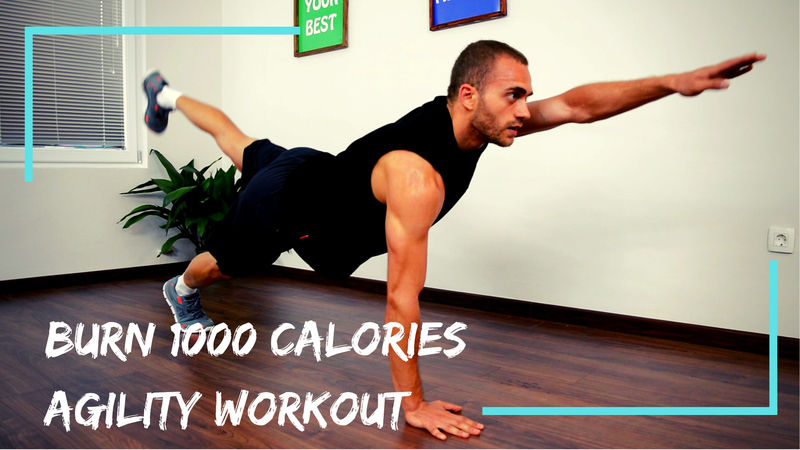 The following video is a bodyweight workout without equipment, where you can burn 1000 calories. It is the best full body workout at home, and I’m saying this without any reservation whatsoever. Biased or not, I cannot tell – however if I’m allowed to perform one intense bodyweight workout on the expense of forgetting all others, this would be an easy pick. As you can see, this compound full body workout will activate every muscle group in your body, while you are sweating buckets and fighting for breath. It is a very intense advanced full body workout, so make sure to consult a medical professional if you have any doubts. Note that everything you try is at your own risk, and you must perform your own due diligence. Compound full body workouts can quickly elevate your heart rate, which means that you have to be super careful. 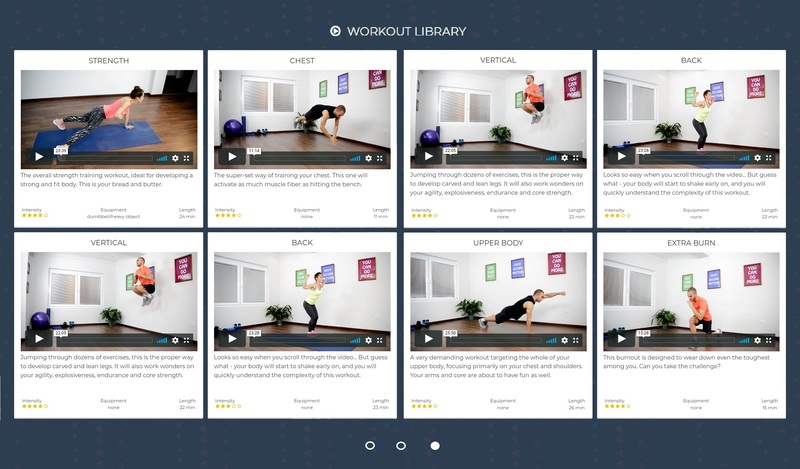 The intense full body workout above is part of the Fitness Updated workout library. The complete program features a user friendly platform where you can follow a customized workout routine, along with a personalized nutrition plan, accessible through desktop, laptop, tablet, and mobile. The program is super affordable, easy to navigate through, and engaging enough to keep you fired up for months on end. 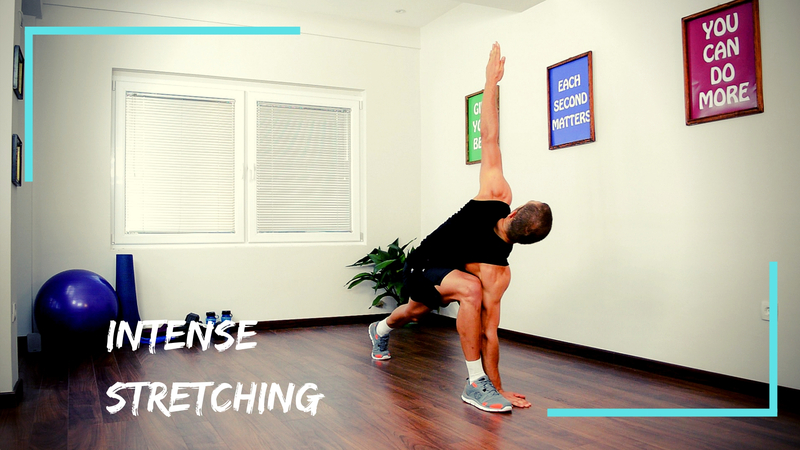 Almost all of the videos include compound exercises at home, some of which are advanced full body workouts, and other are more beginner friendly. Needless to say, Fitness Updated can satisfy the beginner as much as the fitness fanatic. Both will enjoy a perplexing duality of having a difficult challenge, and having more fun than ever before. 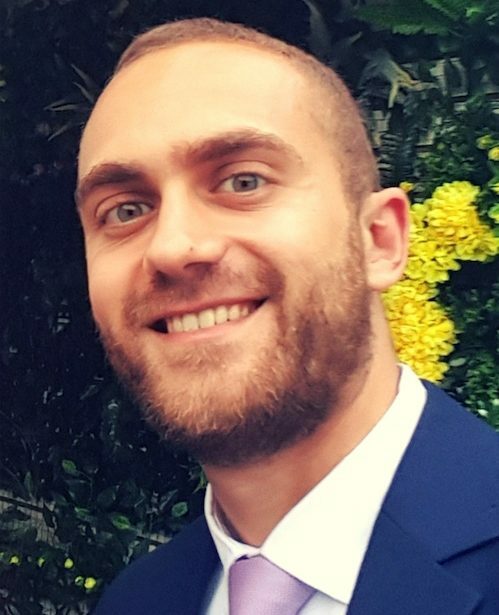 TLDR: I give several options for incorporating compound exercises at home, explain the structure of an advanced full body workout, and present, for free, a full body workout at home without equipment from our library at Fitness Updated. Enjoy the challenge and burn 1000 calories in less than one hour! Oh, and if you are new around here, make sure to bookmark Lifestyle Updated, since I’ll be sharing the entire library of videos for free. Stay tuned!